For all your Party Bus needs in Sanford call Orlandolimorental.com! 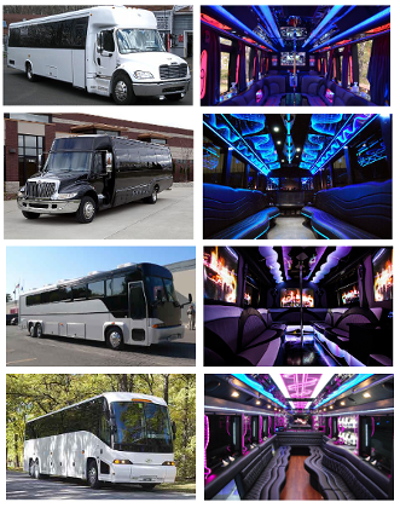 Choose from one of our amazing 18 or 40 passenger Sanford party buses! Rent a Sanford party bus for large corporate events, tailgating parties, proms, bachelor / bachelorette parties, or any special event. Our Sanford party buses feature large LCD screens, multiple wet bars, leather seating, special lighting, sound and video systems, in motion satellite, restroom facilities, and more. Call now to get a free Sanford Florida party bus quote! If you’re looking for Orlando Sanford International Airport transportation or transfers, we have the perfect fleet of buses to transport your large group comfortably. Our party buses, shuttle buses, coach buses, mini buses, or charter buses can transport you to and from anywhere in Florida. Call Orlandolimorental.com in Sanford today to receive a customized quote.